One of the important decisions we have to make in life, therefore, is the choice of the environment. Discover the enabling environment for the fulfilment of your assignment. Get ready! your success is guaranteed as you meditate on the information on this book. Our environment affects us in significant ways. As a matter of fact, it is said that we are products of our environments. This environments, be they physical, spiritual, political, economic etc., determine the extent of our personal successes or failures. 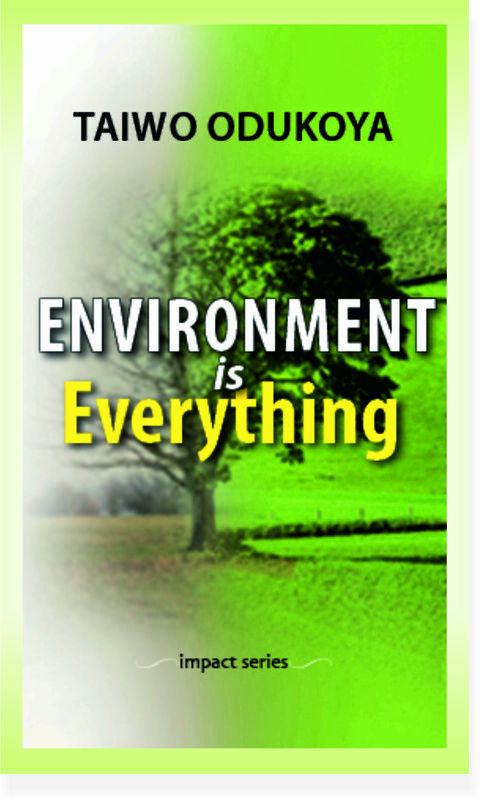 One of the important decisions we have to make in life, therefore, is the choice of the environment.